The vault, again. 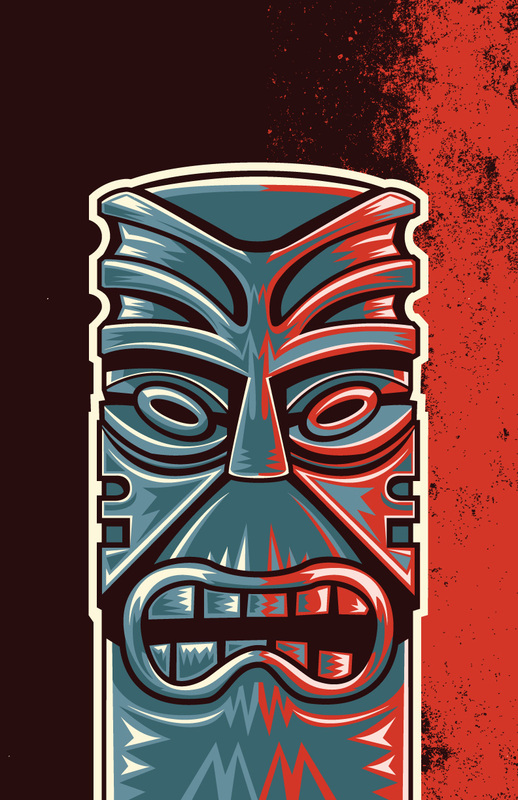 The tiki, again. I had hopes of putting this in my basement, but meh, you know. Mean grillin’. For some reason it reminds me of Samurai Jack style art. Damn, I miss that show. Every time a new season pops up on Netflix I watch the whole thing 8 times through. The more I look at this, the more I like it. I think I should actually print it. Maybe some nice canvas wrap or something. The things that catch wind on tumblr amaze me. Things I think will take off sit dormant while stupid things like two severed hands shaking that I made in about 3 seconds blow up as one of my more popular posts. Go figure. Different strokes for different folks. This one was moderately successful. Click the pick for a larger version. Next Discuss: Who’s the Worst Pokemon?